How many EGTS/CHTs do you want to monitor ? 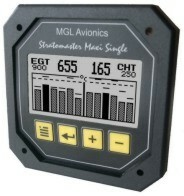 Check out our new 12 Channel EGT/CHT monitor from Stratomaster. More information here.